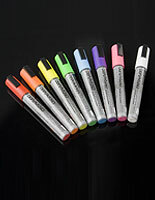 These Fluorescent Markers with Flat Tip are Great For Thick Strokes. 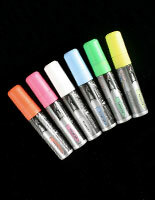 The 5/8” Neon Pen Tips are Ideal for Big Wording and Images. 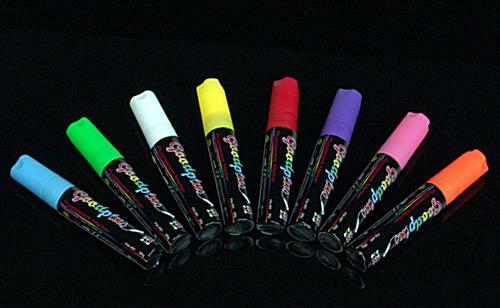 These fluorescent markers come in eight different bold colors: red, purple, pink green, white, orange, blue and yellow. 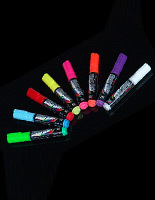 These neon pens with liquid chalk filling dry fast and do not leave a chalky mess. 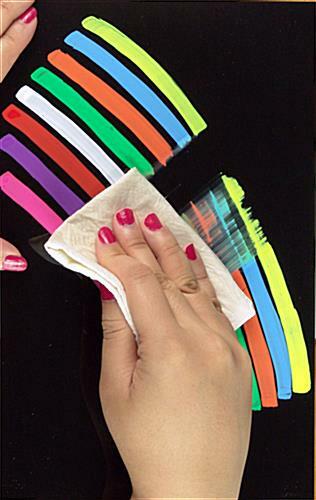 These fluorescent markers are easy to clean up after. 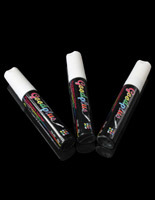 The wet-erase pens for prize wheels are safe and fun to use. 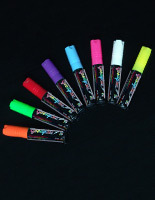 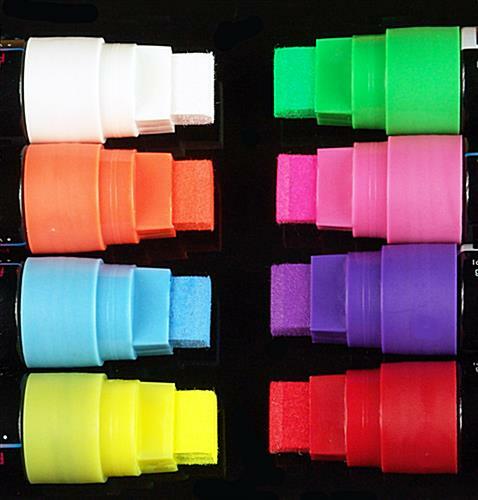 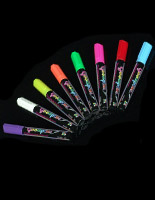 Fluorescent markers, also known as neon pens, are great for use with spin to win games. 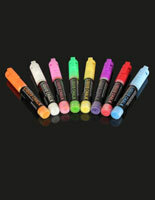 These units are great to have around the classroom or office!